Hi, SEers. Another week come and gone, and another week we have great content for you to look at. If you haven’t already, check out Monday’s post, Freedom From Distractions, by Joan Hall, and Wednesday’s post, The End in Mind, by Harmony Kent. Then peruse the links below for industry advice. Those poor fruit cremes. They’re always the last chosen. My husband will have nothing to do with them! I don’t like them, either. My husband and daughter will eat them, although they prefer jellies (yuck). My son only seems to like truffles, buckeyes, or cherries. No fruit cremes for him. Me? I’m more into the caramels, nuts, and truffles.You know… the good stuff. Not that we eat chocolate that often, anyway. But if I’m going to, I’m not going to waste the calories on cremes! Another great list of awesome sites–Thanks, Staci! 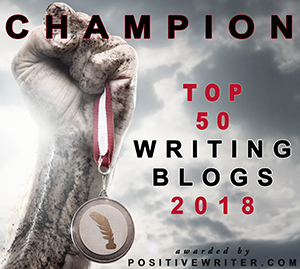 This week’s collection of content to help writers. Compiled by Story Cartel, you’ll find tips for writing, marketing, and social media, and there might be an amusing post or two. Wow! It will keep my weekend busy, reading them. Good idea to give a brief description of what they are about! Thank you! We moved the clock a couple of weeks ago. I think I still miss that hour! Happy reading! Glad the descriptions helped. Lots of good tips here this week. I can’t wait until I have time to read through them. Ah, yes. Time to read. What a luxury!